Facebook has been putting increasing focus on its mobile products for over two years. 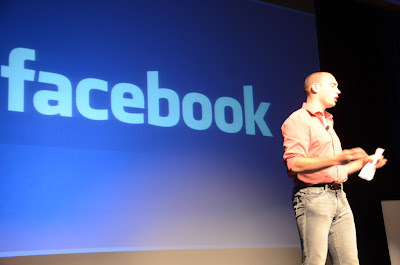 After years of denying it would, Facebook now plans to introduce a smartphone designed for its social network. The Android-based device will be made by HTC, according to the New York Times and it will be unveiled on Thursday. "The software is designed so that some of the core features of the phone, like the camera, will be built around Facebook’s services…"
CEO Mark Zuckerberg famously said that a Facebook phone would be the wrong strategy for the company. Of course, for years Facebook gave mobile barely a thought. That all changed, though, in the run up to its IPO when it suddenly seemed to realize that mobile was the future. To its credit, Facebook has made remarkable strides in mobile in the subsequent quarters. In 2011, Facebook made exactly zilch on mobile advertising. In the last quarter of 2012 it posted $250 million. Some, perhaps much of that revenue, came from the blockbuster mobile ad campaign Walmart ran via Facebook for the holiday, reportedly consisting of some 50 million ads. There are other reasons to assume a Facebook phone is the next logical step for the social media giant, such as it will cement its prime user base to it for just about eternity. A few days ago, IDC came out with a survey sponsored from (surprise surprise) Facebook that found that 89% of 18-24-year-old smartphone owners look at their device within 15 minutes of waking up; 74% can’t even wait that long—they look at it immediately after waking up. Also, Facebook is doing its best to play catch up with its mobile ad technology. This week it announced upgrades to its mobile app install ads, including enhanced device targeting and new ways to create ads. More interestingly, it appears it will be incorporating Autoplay video ads into its news feed within the next six months—first on the desktop and then on the mobile network, according to a report in AdAge. This is fairly significant from a marketer’s perspective as video advertising has been shown to be more effective than banner ads in terms of higher recall and higher purchase intent. Even without the continued tweaking to its mobile ad platform, Facebook stands to do well with mobile ad revenues. This year, third party estimates have put these at $850 million—which is well below Google‘s $4 billion or so but not bad, not bad at all, for a company that was at zero in 2011.